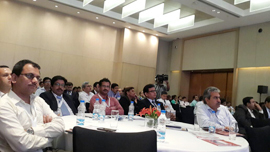 Mr. Atul Patil, Regional Manger West had been invited by Kamikaze B2B Media at its 4th Cold Chain Strategy Summit held on June 9, 2015 at The Westin Garden City, Mumbai. Mr. Patil gave a talk on Dehumidification requirement in Cold Storages. 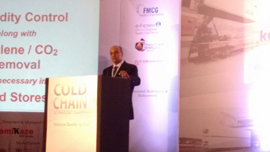 He informed the Cold Chain Industry people on the problems faced by the uncontrolled humidity in the Cold Storages & also suggested the solution to overcome of the problem.